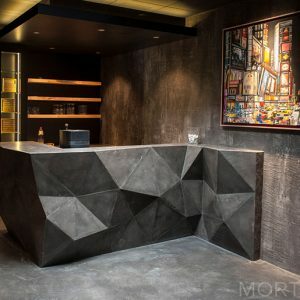 The realization of a Mortex sample for your project will allow you to visualize the real rendering and confirm your choice before starting the work. Convinced? Learn more about our MORTEX TRAININGS or ask about an applicator. Resuflake uses decorative coloured flakes to create unique designs and patterns. The seamless floor finish uses a background colour from RSL’s Cristal bright colour range and bright coloured flakes to create a functional decorative flooring system. 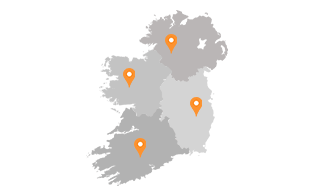 Resuflake is ideal for use in areas requiring a decorative surface including: Shops, Bakeries, Car Showrooms, Retail Outlets and Commercial Environments. Resuflor Cristal Bright (CB) is the cutting edge in resin flooring. Its self-smoothing capabilities give the smooth designer look, without compromising the hard-wearing properties you require. 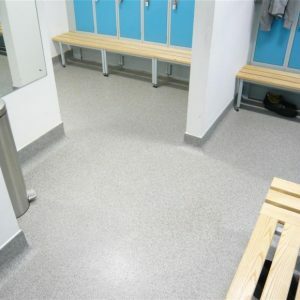 Laid at a minimum of 3mm, Resuflor CB is durable as well as decorative and aesthetically pleasing. 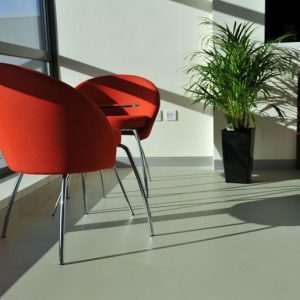 Ideal for areas requiring a smooth continuous flooring system that is hard wearing and aesthetically pleasing such as: retail outlets, restaurants, reception areas, showrooms and where colour is required to brighten tired working areas. 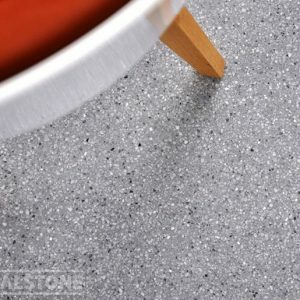 Resustat Terrazzo is a static-dissipative decorative terrazzo effect seamless floor finish produced from high strength granite aggregates and water based polyurethane resin. The system is stable to steam cleaning and resistant to boiling water and process liquids. Resustat Terrazzo decorative surfaces meet the static-dissipative performance requirements of BS EN 61340 with an electrical conductivity leakage resistance of <109 ohms. Resuthane Cristal Bright Self Levelling (CBSL) is part of RSL's polyurethane self-smoothing range. Laid at a minimum depth of 3mm, Resuthane CBSL gives a stylish matt finish balanced with the strength and durability needed for any of flooring area. Resuthane CBSL is the ideal choice for any hard-wearing area. 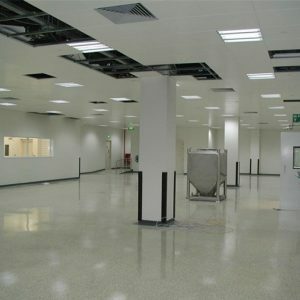 Resuthane CBSL is ideal for use in large or small areas requiring a smooth continuous flooring system that is hardwearing, has good chemical resistance and is easy to clean and maintain. Resuthane CBSL suitable for food production areas, spaces requiring high-chemical resistance and Chemical plants. RS Terrazzo is a four component heavy duty, decorative terrazzo effect floor, produced from inert granite aggregates or marble aggregates, which are combined with an epoxy resin system to produce a seamless floor. 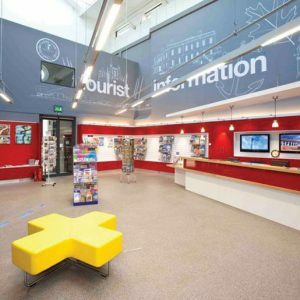 RS Terrazzo is ideal where there is both a high wear and aesthetic decorative requirements such as shopping centres, retail outlets, airport terminals and office buildings. 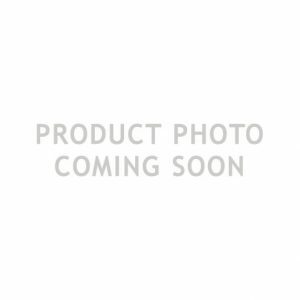 Resin Surfaces Ltd. BSEN 13813 SR B 3.5 - AR 0.5 - IR>4. Resin coating/screed for use inside buildings as per RSL data sheet. Wear resistance: AR 0.5. Bond strength: B 3.5. Impact resistance: IR > 4. 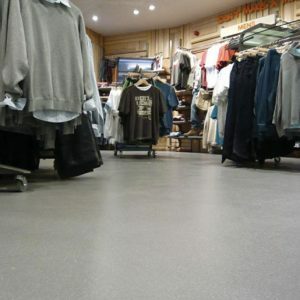 Terrain is a flecked epoxy resin screed, formulated to provide a hard wearing, seamless finish. It is suitable for application onto both new and existing floors, with excellent adhesion. Terrain can be applied to concrete, wood, metal and a range of other surfaces following appropriate preparation, provided the substrate is sound, clean and firm.